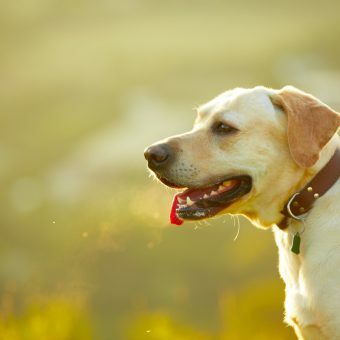 Your dog needs vitamins and minerals to grow, develop, and stay healthy. When a diet cannot be balanced with natural foods to provide vitamin and mineral requirements, it is necessary to supplement with these nutrients. Although they are both considered micronutrients, vitamins and minerals differ in basic ways. Vitamins are organic and can be broken down by heat, air, or acid. Minerals are inorganic and hold on to their chemical structure. Many vitamins and minerals interact. Some work alongside each other in groups, others enhance or impair another vitamins’ or minerals’ absorption and functioning. For example, an excessive amount of iron can cause a deficiency in zinc. Vitamin C helps absorb iron. Copper is involved with the metabolism of vitamin C and vitamin D regulating calcium and phosphorous balance. Most vitamins cannot be synthesized in the body and must therefore be supplied in the food. Vitamins are classified as fat-soluble (vitamin A, D, E and K), or water soluble (B-complex vitamins and vitamin C). The only essential water-soluble vitamins are B vitamins because your dog is able to produce vitamin C from glucose. Since B vitamins can usually be eliminated in urine, there are generally no set maximums or safe upper limits. 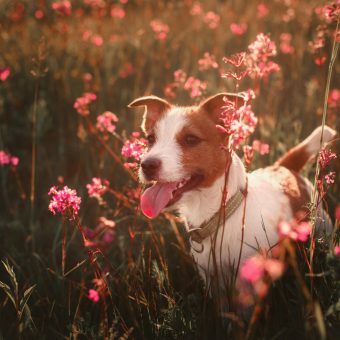 There is no dietary requirement for vitamin C in normal healthy dogs but dietary supplementation may be beneficial under certain circumstances. Excess vitamin C is a concern in patients with a history of calcium oxalate urolithiasis since it can increase urinary oxalate excretion. Water soluble vitamins are stored in the body only in small amounts so while it is harder to build up toxic amounts of water soluble vitamins, it is also easier to develop deficiency of them, thus it is important that these vitamins get fed daily in appropriate amounts. Vitamin A, D and E are essential fat-soluble vitamins. Vitamin K (although essential as well) can typically be provided in adequate amounts by gut floral production. Excess vitamin A is toxic to the liver, especially when a toxin is present or the liver must detoxify a chemical (drug). Excess vitamin D is also toxic in that it stimulates absorption of excess calcium. Fat-soluble vitamins are absorbed through the intestinal tract with the help of dietary fat. Excess amounts are stored primarily in the liver. For this reason the body is able to keep a supply of these vitamins available for use on demand and deficiencies develop much more slowly than those of water soluble ones. The downside is that because they are stored there is a risk of toxicity. There are two basic groups of minerals: macro minerals and trace minerals. Macro minerals are required in larger amounts than the trace minerals and are found in greater amounts in your dog’s body. Macro minerals include calcium, phosphorus, magnesium, sodium, chloride, potassium and sulphur. Trace minerals include iron, zinc, copper, chromium, iodine, selenium, manganese and fluorine. 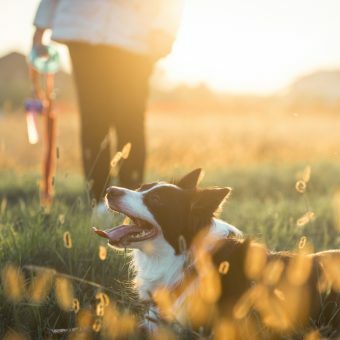 Your dog’s body uses minerals to perform many different functions − from building strong bones to transmitting nerve impulses. Some minerals are even used to make hormones or maintain a normal heartbeat. The body can not synthesise any of them, so dietary supplementation is vital. When a food is analysed for energy all nutrients other than minerals are removed. The remaining material is made up if minerals, commonly referred to as ‘ash’ – also one of the most frequent misunderstood terms in dog food. High quality dry food generally contain between 5%-8% ash.